November 12, 2018 - Our University/Incident Meteorologist Troy Kimmel and the National Weather Service are both predicting much colder temperatures over the next few days. This will result in near to below freezing temperatures for the first time this season. The safety of students and employees is our top priority at UT Austin. We work closely with other government agencies to monitor forecasts and weather conditions, to make decisions about potential delays and closures, and to communicate that information quickly and effectively to the campus community. In the event of a closure or delayed start, we will send text messages to those who have signed up for UT Safety Text Alerts (register here), and an email to every UT Austin student, faculty and staff with an email address (approximately 70,000 people). We also post on the emergency website and on social media platforms (Facebook, Twitter) In addition, we notify local media so they can broadcast the updates. The process for closure decisions can be found here. It is highly unlikely that the university or other city, county, and state agencies would pre-emptively close for thunderstorms. Pre-emptive closures occasionally occur with winter weather systems. However, conditions that produce thunderstorms, tornadoes, and flash floods are less predictable and can develop and change rapidly. The Office of Campus Safety and UTPD constantly monitor campus conditions during weather events and will immediately text, email, activate the siren, and communicate via social media if our faculty members, staffers, students, and visitors need to shelter in place. We also will post to the university’s emergency web page with updates. You can stay up to date by reading Troy Kimmel's campus weather updates here and on his Twitter account @troykimmelwx. UTPD Facebook and Twitter continuously share weather updates during these events, and we know many of you receive weather warnings for Travis and other counties on your mobile phones. Weather warning apps and social media posts from entities outside the university are very useful, especially to our commuters, but they should not be confused with UT Austin text alerts. UT Austin text and email safety alerts are specific to the conditions on campus. You will only receive a UT Austin text alert if we have a weather closure, delay or need those who are already on campus to shelter in place. Just because the university isn’t closed doesn’t mean the weather isn’t dangerous where you are. 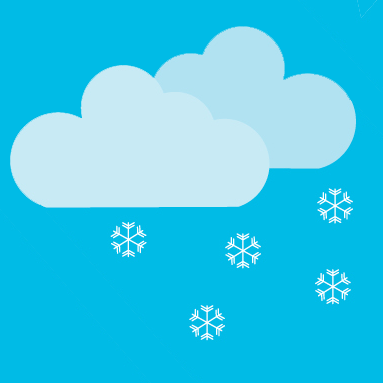 Mobile phone apps, along with local broadcast media and social media reports, should help you assess any weather risks along your route to the university, but only you can decide whether it’s safe for you to commute to campus. The university expects supervisors and faculty members to be flexible with those who are unable to travel to campus as scheduled because of hazardous weather conditions in or around their homes. Employees should notify their supervisors and students should notify their professors if inclement weather keeps them from coming to the university as scheduled. Please know that your safety is always our first concern. For more tips on how to stay safe during weather events, please view the weather section of the Emergency Preparedness Desktop Reference Manual.